It was like diving into a sea of people walking in. There were crowds everywhere, many holding beautifully made, vibrantly colored cocktails. “City of Eternal Spring” and “Always Sunny” sounds quite promising, don’t they? You can always try something exotic like the “Kobayashi Maru.” Or if you can’t decide at all, “Wigglesworth” and “Mr. Balloon Hands” sounds like fun to sip on. And man, they are good. 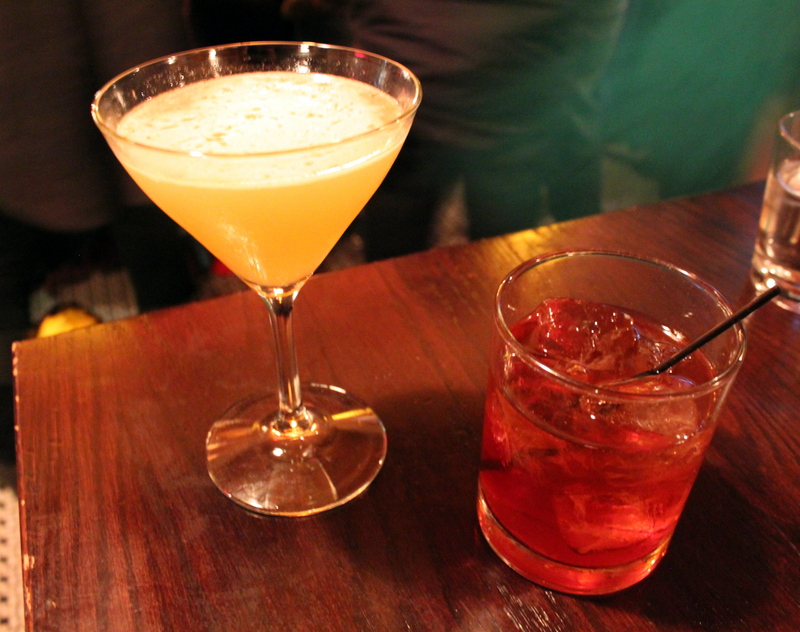 I got the Kobayashi Maru ($10, on the left) and it contained Yamazaki 12yr Whiskey, Green Tea Simple, Apricot Liqueur, Lemon, Angostura Orange and Orange Flower Water. How could you possibly say no to that? The thing I loved most about my cocktail is that all the ingredients supported the flavor of good quality whiskey and the amount of sweetness was just perfect. There were no disgustingly artificial syrups that resembled dense oil sluggishly floating around in my drink. Nope, no way at Russell’s house! 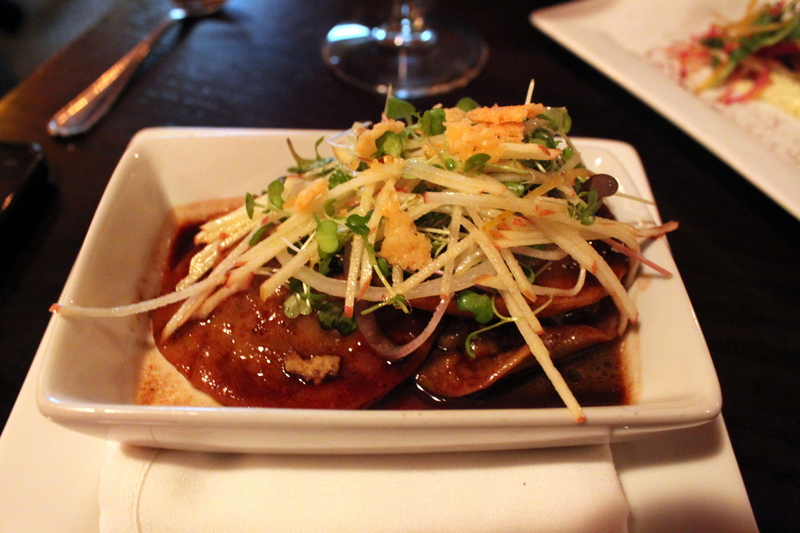 He also offers creative small plates along with his entrees, such as the famous Ozark Heritage Pork Trio that I regrettably did not try. Instead, I shared four small plates with my friend. We thought since the place was a bit pricey, we might as well get a variety, right? Maybe not. Although not horrible at all, I classify each dish as “not bad.” There wasn’t a dish that stood out to me and teased my fork to really dig into it. Beef heart ravioli with Pecorino crunchies, red wine sauce and pickled apple was good- “not bad.” Because the title itself sounds so adventurous, I was expecting big, bold flavors to knock the socks off my taste buds- because taste buds wear socks. After the first bite, all I could think was “oooh… okay.” Kind of like when you’re on a fun night on the town, all dressed up and ready for a drink… You finally arrive at the bar and you order your favorite cocktail. The bartender tells you he’s missing the one ingredient that makes your drink perfect. Instead he says he’s going to make another one he’s sure you’ll like. Next up, deliciousness; tons of compacted crab meat and crab flavor, tangy sweet pickle tartar and a refreshing bite of herby Gala apple salad. For $8, it was a tiny little thing. 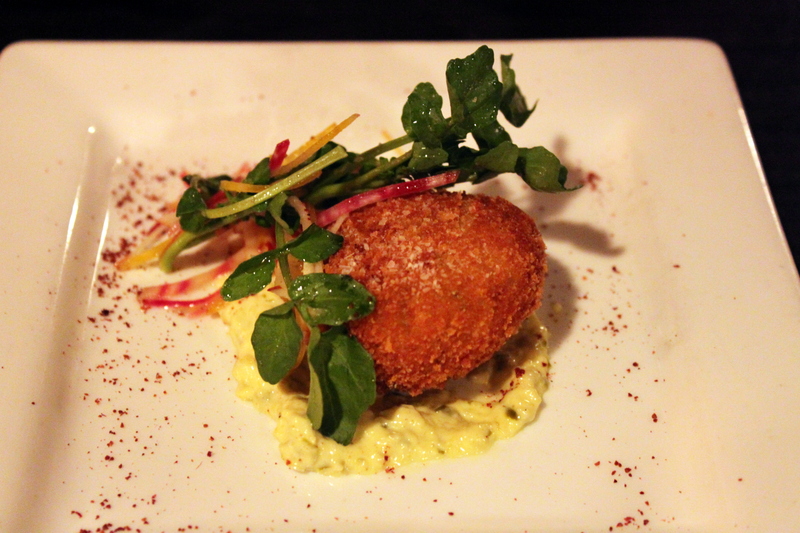 So if you decide to order this, order 2 crab cakes for $12 instead. 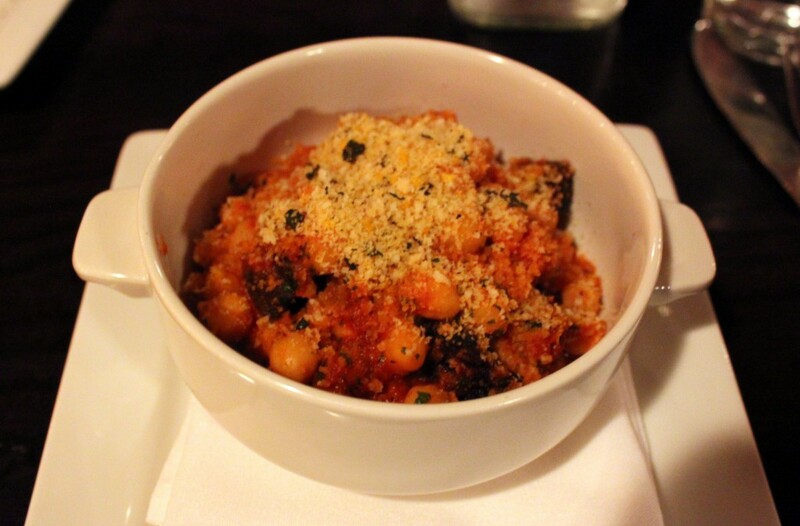 And lastly for small tapas, lamb belly with chickpeas and a tomato sauce. The sauce had immensely bold and earthy flavors, but lamb meat was sparse. Once again, I was disappointed with the portion and the price attached to it. After 3 small plates, we have yet to be full. Heck, let’s order a pizza. You can never go wrong with pizza. 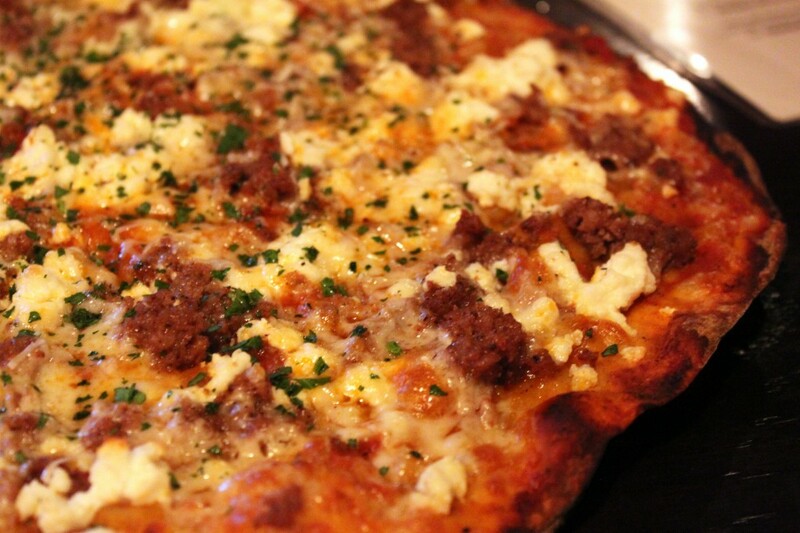 An extremely thin and crispy crust manages to hold a load of ricotta, tomato gravy and chunks of Cotechino sausage. This was probably the best dish out of the four. Although not very memorable, it was still a yummy and the sausage was made with a great blend of spices. I don’t mean to be Negative Nancy (I hate how my name is actually Nancy), but after reading such wonderful reviews from so many different websites, I was disappointed with what I received for shelling out $60-70. This most certainly does not mean that I will not give this place another try though. Next time, I will just be more safe with my orders and stick to what others recommend. Since I’ve heard a lot about their brunch and lunch sandwiches, those are definitely on my next to-try list. 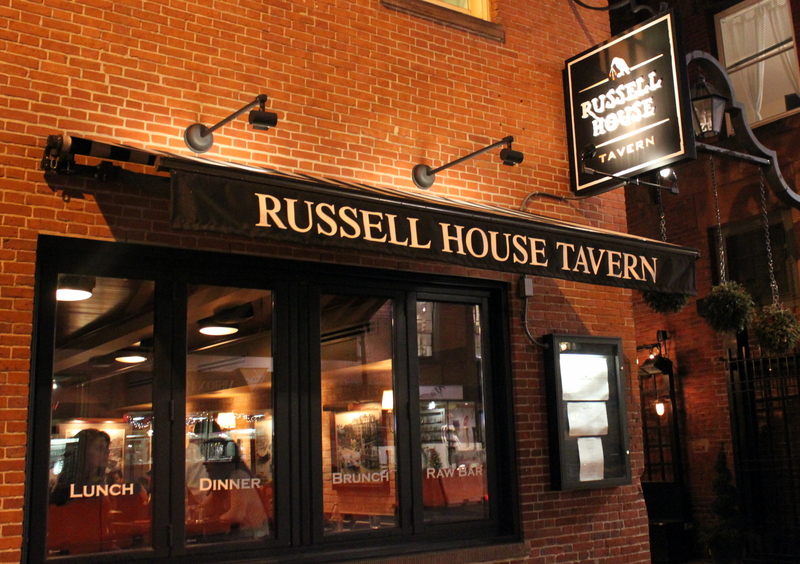 Until we meet again, Russell House Tavern. This entry was posted in American, Restaurants by BeantownBelly. Bookmark the permalink.